Scottish Spirits Ltd., a Glasgow Scotch whiskey distiller, has been around since 1896, distilling and exporting blended whiskeys. Now, with a new distribution center in Panama, Scottish Spirits is bottling booze that's a little more at home in Latin America and the Carribean - rum, vodka, tequila, and... whiskey in a can? Yep. Scottish Spirits is breaking with its 115-year history (as well as every other Scotch maker's) and canning its blend - much to the industry's disgust. 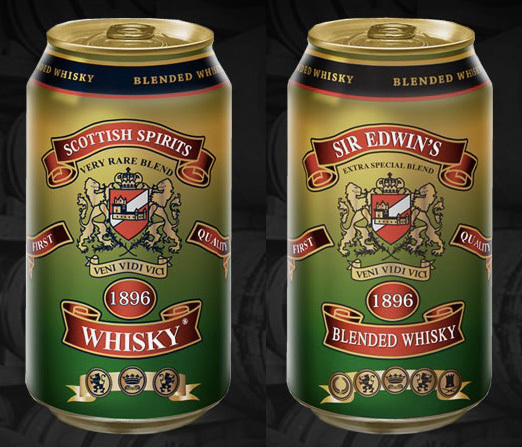 Scottish Spirits Blended Whiskey in a can for the first time. The Scotch Whisky Association has reportedly said it would ban the cans for breaching international labeling rules because there is a representation that the consumer is buying real Scotch, when he isn't. Scottish Spirits is 'thrilled with the idea," however, and is looking forward to its 12 ounce whiskey can becoming a part of more and more lifestyles. "It's lightweight and portable and entirely recyclable," said CEO Manish Panshal, adding that it's a perfect choice for outdoor activities. No, the whiskey in a can is not available in the U.S.
What Is Next For Xbox? Find Out May 21st! Darn cant have any in the US, darn import rules.